Most employees working in retail leave their jobs because there is no clear path for them to advance. There are 15 million people employed in US retail. Low wage retail workers are the largest segment of US employment and yet the least invested in. They feel it takes too long to get promoted and are starving for career development opportunities. There is no one-size-fits-all development program that works for all people. In fact, there is very little evidence on what works and what doesn't. Managers inadvertently exclude some employees by focusing on others who are more outspoken and visible. Retail is in the top 3 industries employing millennials. More than 74% of millennials feel that new technology makes their lives easier. Existing Training and Development processes and systems are not about employee growth but rather about compliance and about tracking employee activity to meet regulations. 66% of employers that are hiring have open positions for which they say they cannot find qualified candidates. The national average cost incurred on extended job vacancies is almost $1 million. With madeBOS, employees bridge the requirement gap to get the job or promotion. Showing real career opportunities available aligned with Companies' strategic growth goals. Creating an individualized plan to reach these opportunities. Exposing development plan and activity with mentors and other company influencers. madeBOS adds transparency to the career development process and makes each user accountable to their own progress. madeBOS replaces and automates the antiquated Individual Development Plan process. Employees do not have to wait for their managers to deliver scheduled reviews that could take months to a year. Employees engage daily towards their growth plan progress. madeBOS provides valuable insights and predictive analytics into the talent on hand. Driving future sales conversations directly aligned to the talent they have. Better allocation of learning and development resources. Edge to quickly aligning workforce to desirable skill sets. madeBOS differentiates the company from competitors. Investing in employee's development has a positive impact on loyalty. Providing internal career pathing reduces external job search. Demonstrating commitment to helping employees advance in their careers attracts better external candidates. Naomi, a Walmart employee wants to develop into a better paying job. In 4 simple steps Naomi is empowered to manage a realistic and attainable career development plan that unlocks her highest potential without having to leave her current employer. 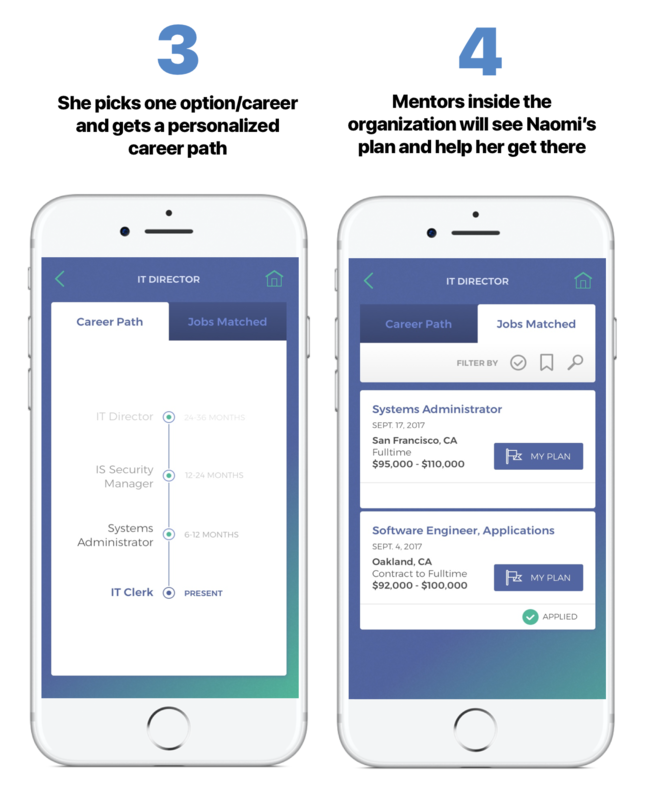 Identify, anticipate, optimize and meet Naomi’s (and other employees’) personal career plans and progression activity central to the execution of business strategy. 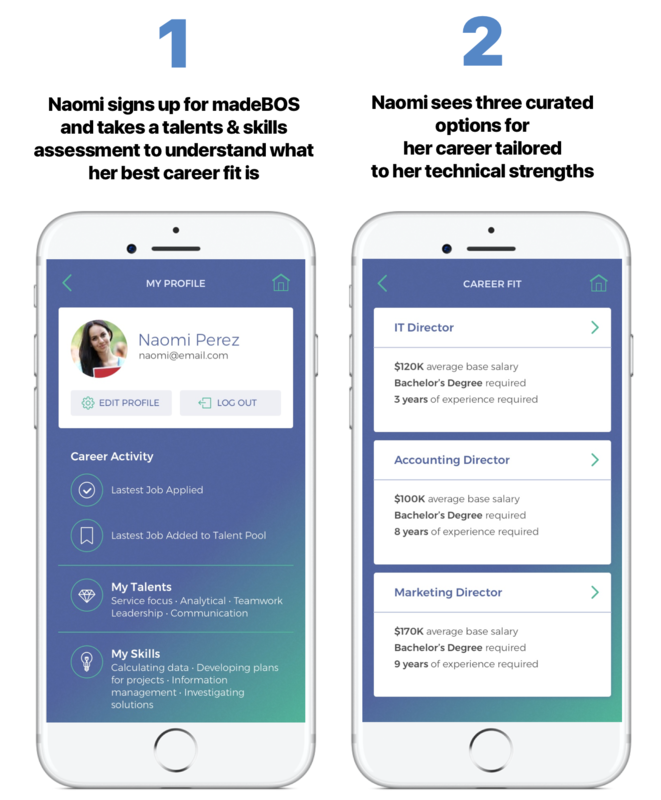 Align Naomi's high performance and potential to roles that fit skills developed over time and that meet her short term and long term career goal. Better allocate learning & development resources addressing where Naomi needs the most support. Align manager and employee career pathing expectations. Empower managers and company leaders to recognize and reward Naomi and other employees' development throughout the year. Within 3 months of raising 216% of our goal in the first Republic round, we successfully launched on time, and on budget our MVP: the alpha version of the madeBOS platform. “We are thrilled to have Martha Hernandez as one of Tangelo’s partners. Her presence and drive matches our values and she embodies hard work and high standards through her work. Martha is a trailblazer in her field and we are proud to be supporting her company’s growth” said Antonio Altamirano, CEO of Tangelo, Inc.
We tested our proprietary algorithm using 2,600+ employee records and 1,600+ positions/job descriptions. 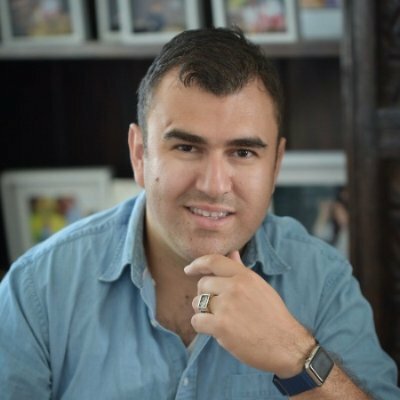 Juventino Mejia Jr. left Apple, Inc. to join madeBOS! We are thrilled to have recruited an expert in data curation and content recommendation, a natural fit to madeBOS’ core career pathing methodology. Having an invested Co-Founder and CTO with a well rounded background in full stack development, multi platform app development (iOS/tvOS, Android, Web) account management and team leadership has positioned madeBOS to have faster and more strategic growth. 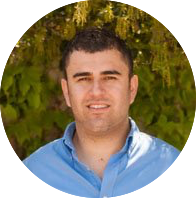 “This is a game changer” says madeBOS advisor Daniel Sonsino, HR Talent Management expert and Guia Founder. “Martha and Juventino have solved a problem for multiple industries as we see the unemployment rate dropping to 4.1%. Both companies and individual employees alike will benefit from this incredible technology that is thoughtfully designed and artfully created. 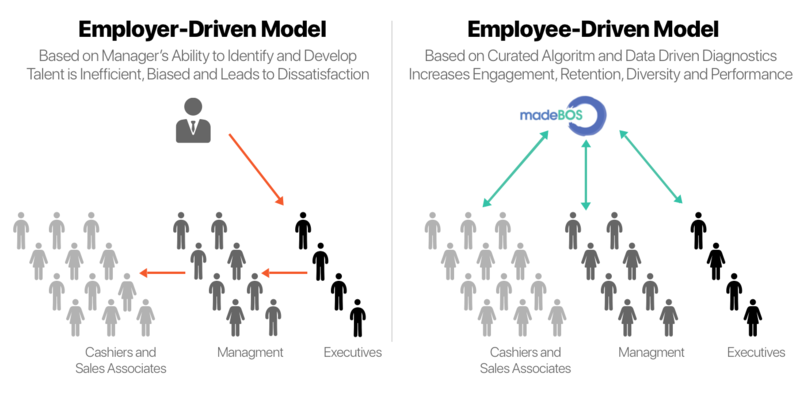 Leveraging madeBOS inside an organization will increase employee engagement and commitment, improve retention, and demonstrate that you truly value your people. 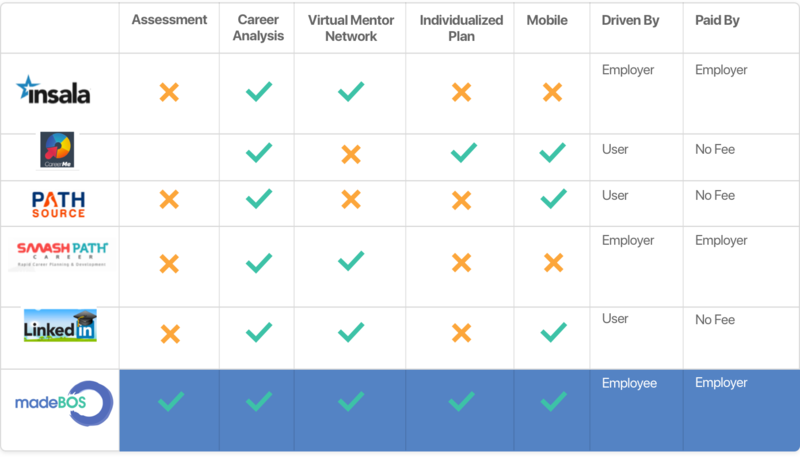 Employees will value the personalized approach to driving their own career aspirations, while connecting to a company they already value. When Martha showed me her idea I was intrigued, when I saw the actual platform, I was amazed,” states Daniel Sonsino, Founder, Guia Human Resources Consulting and madeBOS advisor and investor. 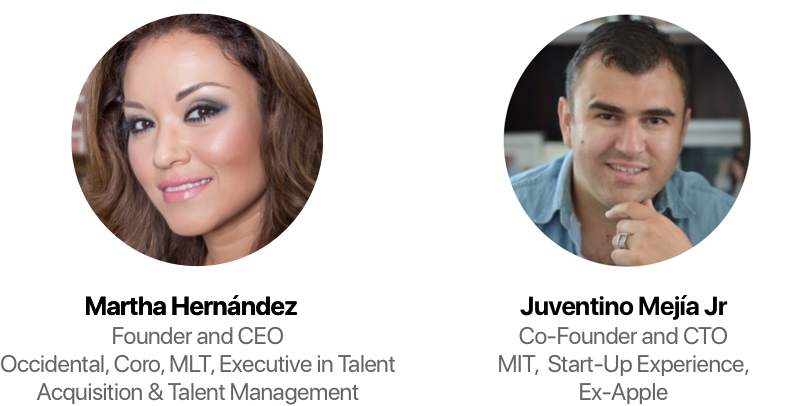 The madeBOS “formula” is based on 10+ years of experience giving people individualized plans to grow and develop professionally. Below are some recent stories of those who attest the formula has proven to work. "As a manager I was pretty content. However, madeBOS showed me I was capable of more and put a plan in place to earn my Bachelor’s Degree! In addition to my education plan, I was able to learn more about myself and what I did really well in my career and be able to focus on those strengths immediately." People Operations Executives are excited about madeBOS. "I am encouraged with the forward thinking of madeBOS, and how it aligns with ABRA’s Corporate immediate goal of becoming the Employer of choice.The concept of customizing this product, with our specific needs further piques our interest. We are establishing a focus group, to dial in on our priorities of how this product could best serve our needs, and look forward to more interaction toward our partnership with madeBOS." Downloading the app for the general public is free, however, unlocking next level of app usability charges the independent user a small $2.99 annual fee. The retail industry (Grocery Stores, General Merchandise Stores, Specialty Stores, Non-Store Retailers-by mail, catalog or online- and Restaurants) is expected to experience significant growth. The Department of Labor’s Bureau of Statistics projects that employment in the retail industry overall will grow by about 12 percent; an additional 1.8 million jobs. Retail salespeople are the second-fastest growing occupation. The number of cashiers and retail salespeople is projected to increase by over one million by 2020. Initially our plan is to focus on retailers pained by turnover and are value aligned, however, other major industries such as technology, health care, hospitality, service, manufacturing, claim they also suffer a talent gap and face significant turnover issues. We provide flexible, actionable and attainable plans. We integrate external resources in the plan. We act independently but collaboratively with Talent Management and Learning and Development Systems. We meet employees where they are at in their development process. Focus on internal learning resources limiting potential employee creativity regarding their growth. Provide one-size-fits-all solutions or resources that are not user driven or user adaptive. Honor traditional tactics where managers access information through the software solution but they have to deliver and collect data manually, opening for subjectivity to take part in the process. We are raising to continue our development and growth. We need to expand key features and develop a go to market sales strategy plan and team. People are our greatest asset, and as such we are looking to create an environment that will attract the best talent. The madeBOS v.1 product was launched in November, 2017. Currently we are talking to enterprises considering piloting our technology and will select 3 that best fit our deployment strategy. 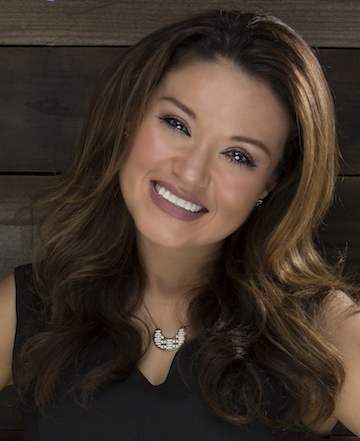 My name is Martha Hernández and I love helping people reach their full potential. As a Talent Acquisition executive with over 10 years of experience, I learned that the talent gap problem is too big to fix one company at a time and thus decided to build a scalable, global solution to address the real talent problem; lack of automation to facilitate more effective internal mobility and thus higher engagement and performance. I am excited about combining my experience in sales, talent strategy, selection methodology, technical product sourcing, business requirements understanding, systems integration, implementation and compliance plus what I love most, selecting, developing and managing highly effective teams. Growing up I struggled to navigate Oakland public schools. I made it to and through Occidental College thanks to the TRIO program, Upward Bound, completed the Mills College Institute for Civic Leadership Program, graduated from prestigious leadership development programs such as Coro Fellow Program in Public Affairs and ML4T (Management Leadership for Tomorrow) even though all odds were against me. I didn’t even speak English but when my mentor, Romeo Garcia said to me, “if you stick to the plan, you will have a career”, I understood and believed him. It took one mentor to believe in me and show me whom I could become. Since then, every day I make sure to stick to the plan. madeBOS is a representation of my journey's success; having an inspirational vision of my future, having a plan, sticking to that plan and meeting mentors to help reach it. My name is Juventino Mejía Jr, and I am passionate about solving real world problems through technology. 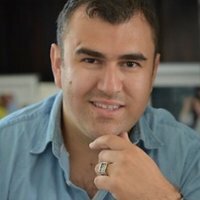 I am an Electrical Engineering & Computer Science graduate from MIT (Massachusetts Institute of Technology) and a former Apple engineer with 10+ years of development and management experience across a diverse set of industries and platforms. Early November I decided to leave Apple and join madeBOS because I am committed to solving a very common problem that I experienced first-hand early in my career. Luckily, I was able to successfully navigate my career path thanks to Martha’s methodology, the underlying vision of what would become madeBOS. I come from humble beginnings and although I went to MIT, initially, I did not have the social capital to facilitate unlocking my highest potential. Today, I get to make significant local and global change so that people lacking resources, vision, exposure or simply motivation are empowered to be the best they can be. Like the founder, the madeBOS team members and advisors also have amazing stories to tell and can relate to our target demographic. Together, we are experts in software and mobile development, talent management, talent engagement, business strategy, workforce development, operations, finance, development, marketing and analytics. Our advisors are supporting madeBOS because they understand the problem enterprises face and because they believe that our solution can position us to be the first to actually solve the growing talent challenges. We are thrilled about madeBOS’ impact in people’s prosperity and the fast progress we have made. With your investment today you help us create economic mobility for entry level workers in retail and adjacent sectors and at the same time support employers in retaining and developing talent. Thanks to industry experts such as the madeBOS team and advisors we are positioned to successfully lead in this market. Bet bold for opportunity and become a madeBOS! Thank you in advance for your investment! The smallest investment amount that madeBOS is accepting. madeBOS needs to reach their minimum funding goal before the deadline. If they don’t, all investments will be refunded. If a trigger event for madeBOS occurs, the discount provision gives investors equity shares (or equal value in cash) at a reduced price. madeBOS needs to raise $25K before the deadline. The maximum amount madeBOS is willing to raise is $448K. Name on investor thank you page! Highlight on Twitter and Facebook from our madeBOS page and Founder's personal accounts and name on investor thank you page. Exclusive investors only madeBOS t-shirt and all of the above. Access to help us decide on future madeBOS features, plus all of the above. Virtual career pathing session with founder, plus all of the above. Exclusive invitation to madeBOS Investor Society and events, plus all of the above. Mariachi hour serenaded by both Founder and Co-Founder (yes, Martha and Juventino are Mariachi professionals too! ), plus all of the above. *Travel not included. Invitation to become a madeBOS advisor and have dinner made by Co-Founder and CTO, plus all of the above. *Travel not included. Expert in Talent Acquisition & Management and Leadership Development. Prior experience includes Coro, Give Something Back, Mi Pueblo Food Centers, Inner City Advisors, Save Mart Supermarkets and several startups in the Bay Area. Juventino Mejía Jr holds a Computer Science degree from MIT (Massachusetts Institute of Technology) and is a former Apple engineer with 10+ years of development and management experience across a diverse set of industries. Can I download madeBOS now? Thank you for wanting to download madeBOS. Currently madeBOS is available for enterprise level only. With your investment we will be able to continue our growth and development to eventually make madeBOS available to the general public. Investing $500 or more gives you access to early product features and first hand exposure prior to releasing our IOS and Android app. What does madeBOS stand for? We believe that everything we do should be intentional; our logo, our name, our work. madeBOS stands for made by own self. Since madeBOS is an individualized plan driven by the user, our name represents the accountability and commitment required to complete the plan. Where do I get the app when is ready? Will madeBOS be available in other languages? Yes, eventually! Our goal is to make madeBOS available to all people looking for career growth. Why equity crowdfunding for madeBOS? I am doing an equity crowdfunding campaign because of its principal value being alined with madeBOS' mission – democratizing opportunity. I personally knew very little about investments – however, several years ago I considered investing in startups and learned that in order to do that I had to be accredited (make over $250K per year and have a ton of money in assets). I realized this is why 97% of Americans were unable to participate in startup investment rounds. So, when title III passed (which is what unlocked equity crowdfunding) I made a commitment that I would open that opportunity to YOU –my family, friends, and value aligned investors to be part of madeBOS before going to traditional investors. Don't get me wrong, we will go to Seed and Angel investors (in fact we are having conversations with them now) but first, the offering is to you. It's time to make bold choices if we want different results. What is the founder's background and leadership experience? Most recently, Martha Hernandez ran the talent acquisition division for a 6 billion dollar company and almost 17,000 employees. She has experience running a multi million dollar budget and over 10 technological implementations and integrations. Martha H: Hi, my name is Martha Hernandez and I am the founder and CEO of madeBOS, Made By Own Self, which is your smart development assistant. You know there's a story to tell. I've been in retail for over 15 years working with Talon Management and Talon Acquisition, and one of the things that I have found is that although we have over 50 million people employed in retail, the majority of them, actually 70% of them, are driven by low-wage workers, and so this means people living in poverty. Those living in poverty are driven by employers that have solutions in their growth and development that are not favoring their development and, therefore, they're staying in this cycle of low-wage work, and retailers are spending a lot of money. For a company that's 5,000 employees, almost a million dollars to retain employees. This is a huge problem. We've developed a solution that actually supports the development by giving every employee an individualized development plan that drives them through the strategic development and growth of the organization. They understand their talents as they relate to the strategic goals of the company and then we show them three careers curated by our AI that show them where they could potentially be, and then an individualized plan that actually gives them where they fit in terms of skill sets so that they can follow our plan. What's really exciting is that this is a one billion dollar opportunity, just retail, just U.S., and this is, actually, retail is expected to grow by 6% worldwide, accounting for 22.7 trillion dollars. Cindy Whitehead: So, help me understand the cost model for the companies. You said there is such an extraordinary opportunity, they're already investing. What are they investing in and what is your cost model? Martha H: Yeah, so typically employers focus on managerial and above. They spend three times more than they do on low-wage workers because it's sort of a revolving door, and so that is the largest segment of U.S. employment, yet the least invested in and also the most difficult to impact or affect. Tim Draper: Have you tested it with some companies and what's their response and what kinds of feedback are you getting? Martha H: Actually, we're very early on, MBP. We've tested the methodology. In fact, I ran three million dollar departments in Talon Acquisition and we've implemented this methodology one-on-one. Tim Draper: I've seen a lot of the diversity and inclusion software, but yours was sort of unique in that you're helping people with their career, right? Jesse Draper: And specifically in retail. Martha H: If you look at it, it's a representation of the entire nation in terms of demographics, women being the ones that earn the lowest in sort of the cashier roles and white men being the ones leading the organizations. Tim Draper: So, if some woman comes to you and says, "I want to be president of this company in five years," and uses your software, are they gonna get there? Martha H: You know, this is why you're gonna love what we're building because most people are not gonna think, "I wanna be the president," and these are the people working those low-wage jobs. They've never seen themselves being the president, so what we do is we say, "Oh, this company is gonna be acquired by Amazon and therefore they're gonna need the following skill sets," and so we say, "Hey, woman, you have the following talents and, by the way, you could be." We show them that big picture career path and then we say, "And here's your plan and how you're gonna get there." Jesse Draper: Also, there is this big jump from the retail store working the cashier job to the corporate level, and how do corporations, I mean, maybe I'm just unfamiliar, but how do corporations kind of glue those together and how difficult is it to get someone from the retail floor to the corporate level? Martha H: And I think that's another exposure issue, right? For me, working in retail is that almost 60% of those that are working in retail are actually getting an education, and then they're leaving. They go somewhere else to get the job where they can apply what they learned through their formal education background. Jesse Draper: So, what I'm asking is how do you make that jump? Tim Draper: Out of the store, into corporate. Martha H: Yeah, so they already have some systems in place. They have learning management systems. They have partnerships with university. In fact, Starbucks is a great example of that. They've increased their retention in a way that no one else has been able to do that because of that partnership, but they're showing people that if you get this education and this certification then you can go to the next level, and what we're doing is we're automating that process. Instead of one-on-one sitting with people, we're just giving them an actual plan they can carry with them and work on it whether they're at work or at home or on the bus. Tim Draper: Who pays you? It's the corporate that pays you? Martha H: Yes, we're a B2B SaaS, yes. Tim Draper: Yeah, and then do you ever get to the C? Do you ever get to the end consumer? Martha H: That's next step. Yes, yes. Once we have enough data curated and we can understand pathing, we can understand behavior, we have AI, then we make that available and anyone can essentially download it, but by the time we give you a plan, we would definitely charge you. Jesse Draper: And then, why are you doing this? Martha H: I've spent over 15 years working in retail and every time I walked through the floor or saw drivers or saw people cleaning the floors, they looked like me, and they asked me, "How did you do it?" Sitting with every single one of them because, by the way, it is almost 70% of this nation, would be impossible, but if I can do what I did for those that I did sit with, by the way 90% of them got to that next level. That trajectory, I wanna make sure that is available. Jesse Draper: How much are you raising and at what valuation, and then what have you raised to date? Martha H: To date, I did an equity crowdfund. We're raising a million, gets us to hiring the rest of our team. Tim Draper: And what was the valuation? Martha H: So, valuation, we're at two million and we're raising a million. Thank you for that. Jesse Draper: How did you meet your co-founder? Jesse Draper: Hold the phone. Tim Draper: Oh, we gotta sing. Jesse Draper: I think that we need you to sing. Tim Draper: Let's do it. Which song is your favorite? Two lines of one of your favorite songs. Jesse Draper: What's like a mariachi song? Tim Draper: La Cucaracha is good because it's the cockroach, which is like you can't kill the cockroach, it just keeps going. Martha H: I'll sing actually one that I really like. Jesse Draper: And so, I mean, this is the whole package right here. Tim Draper: I feel like I got into doing back up. Bill Draper: Your voice could do that. Martha H: So, my ... Thank you. My co-founder actually founded a mariachi at MIT. 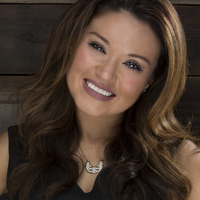 Martha H: A very diverse mariachi, and so I was hired to sing and his mariachi was hired to play and we met and, since then, I have helped him in developing to becoming a lead in several startups in software development with the premise that when I was ready, he was gonna come and support building this company. Martha H: That's how strategic we have to be. Cindy Whitehead: That's right. In fact, we love your story about [inaudible 00:18:06]. Jesse Draper: So great. Incredible. Well, thank you so, so much. Martha H: I appreciate you. Jesse Draper: Do we have any questions from our audience? Audience 1: Great presentation. Thank you so much. If I'm a worker at a company, how do I access the platform? Do I have any support from mentors or are they all in the platform? How do I connect with the platform, because I am talking to a computer or is gonna be there any person that I can connect with? Martha H: Once you've selected your career and you've identified that you are interested in specific roles, then we look across the organization to give you recommendations on next steps that you should do. Tim Draper: Terrific. Well, great. Thanks for joining us. Jesse Draper: Thank you so, so much. Bill Draper: We appreciate you coming in. Martha H: Thank you. I appreciate you. You know, I think I was so nervous. I don't even remember the very first two minutes of my pitch. I remember being in front of the monitor and realizing the monitor has two of my slides, like where do I focus? There's an internal conversation and at the same time, I'm talking. Overall, I think at the end of the entire process, I feel good because I was able to educate them on why I'm doing what I'm doing and why it's so important that individuals like themselves pay attention and start mobilizing and supporting people like me. I wish I would have done this once I had my company in a different stage, such as an example like actual users. We're so early. I think the lesson learned here is no matter where you come from and what you're building and what your resources are, if someone's willing to listen, we should take that opportunity whether ready or not. Let's not give up. Jesse Draper: I mean, I think she's doing something really needed. I see a lot of companies in this space. I'm invested in one in this space, but they're not competitive at all. She's really targeting ... I like that she's targeting retail and that she's helping people work their way up and maintaining retention. She's clearly the whole package. She sings. She's incredible. I think she's fantastic. Bill Draper: I agree with that. I think she understood the problem. She picked retail rather than just the whole world. Cindy Whitehead: Listen, the passion is so intense you could cut it with a knife, right? It's wonderful. She's definitely the package. She's obviously helped mentor other people. She's passionate about it. I'm still disconnecting on the model and I want to believe, I want to believe that corporations would invest in this, but I don't know as I heard it that they're not investing in somebody sort of creating a career path that causes them to leave the organization. Tim Draper: But she hasn't tested any of the corporations yet, and so she needs to get this in front of companies, see if they're willing to do it cause I'm a little suspect, as I think you were, that the company kinda likes keeping the people on the floor at a low price. Now, Walmart may be different. Maybe Walmart is, and maybe there is something there, and if there is, and if she can get through to the end customer, that's gonna be really powerful, and she can sell. [crosstalk 00:21:26] That girl can sell. She can sing. She can sell. Jesse Draper: I would bet on her. Cindy Whitehead: Yeah, I would too. Jesse Draper: Ten times over. Jesse Draper: And she knows the problem. Jesse Draper: She moved me. She moved me. Jesse Draper: Yeah, and she'll move many people. Okay, ready? Tim Draper: Okay, here we go. Jesse Draper: [crosstalk 00:21:56] Thumbs up, thumbs down, thumbs all around. I'm saying thumbs up on her. I'm betting on her, just to be clear. The business, we need to work out. Tim Draper: I'm thumb sideways. Cindy Whitehead: I am too. I need more information. Bill Draper: And I'm thumbs down. We are a startup Company and our business model currently focuses on building our software solution and the right team rather than generating revenue. While we intend to generate revenue in the future, we cannot assure you when or if we will be able to do so.We rely on external financing to fund our operations. We anticipate, based on our current proposed plans and assumptions relating to our operations (including the timetable of, and costs associated with, new product development) that, if the Minimum Amount is raised in this Offering, it will be sufficient to satisfy our contemplated cash requirements through approximately September 2017, assuming that we do not accelerate the development of other opportunities available to us, engage in an extraordinary transaction or otherwise face unexpected events, costs or contingencies, any of which could affect our cash requirements. We expect capital outlays and operating expenditures to increase over the next several years as we expand our infrastructure, commercial operations, development activities and establish offices. Our future funding requirements will depend on many factors, including but not limited to the following: 1) The cost of expanding our operations; 2) The financial terms and timing of any collaborations, licensing or other arrangements into which we may enter; 3) The rate of progress and cost of development activities; 4) The need to respond to technological changes and increased competition; 5) The costs of filing, prosecuting, defending and enforcing any patent claims and other intellectual property rights; 6) The cost and delays in product development that may result from changes in regulatory requirements applicable to our products; 7) Sales and marketing efforts to bring these new product candidates to market; 8) Unforeseen difficulties in establishing and maintaining an effective sales and distribution network; and 9) Lack of demand for and market acceptance of our products and technologies. We may have difficulty obtaining additional funding and we cannot assure you that additional capital will be available to us when needed, if at all, or if available, will be obtained on terms acceptable to us. If we raise additional funds by issuing additional debt securities, such debt instruments may provide for rights, preferences or privileges senior to the Securities. In addition, the terms of the debt securities issued could impose significant restrictions on our operations. If we raise additional funds through collaborations and licensing arrangements, we might be required to relinquish significant rights to our technologies or product candidates, or grant licenses on terms that are not favorable to us. If adequate funds are not available, we may have to delay, scale back, or eliminate some of our operations or our research development and commercialization activities. Under these circumstances, if the Company is unable to acquire additional capital or is required to raise it on terms that are less satisfactory than desired, it may have a material adverse effect on its financial condition. We were incorporated under the laws of California on July 25, 2016. Accordingly, we have no history upon which an evaluation of our prospects and future performance can be made. Our proposed operations are subject to all business risks associated with new enterprises. The likelihood of our creation of a viable business must be considered in light of the problems, expenses, difficulties, complications, and delays frequently encountered in connection with the inception of a business, operation in a competitive industry, and the continued development of advertising, promotions, and a corresponding client base. We anticipate that our operating expenses will increase for the near future. There can be no assurances that we will ever operate profitably. You should consider the Company’s business, operations, and prospects in light of the risks, expenses, and challenges faced as an early-stage company. The development and commercialization of our Software as a Service (Saas) is highly competitive. We face competition with respect to any products that we may seek to develop or commercialize in the future. Our competitors include major companies worldwide. Many of our competitors have significantly greater financial, technical and human resources than we have and superior expertise in research and development and marketing approved service and thus may be better equipped than us to develop and commercialize similar services. These competitors also compete with us in recruiting and retaining qualified personnel and acquiring technologies. Smaller or early stage companies may also prove to be significant competitors, particularly through collaborative arrangements with large and established companies. Accordingly, our competitors may commercialize products more rapidly or effectively than we are able to, which would adversely affect our competitive position, the likelihood that our SaaS will achieve initial market acceptance and our ability to generate meaningful additional revenues from our products. 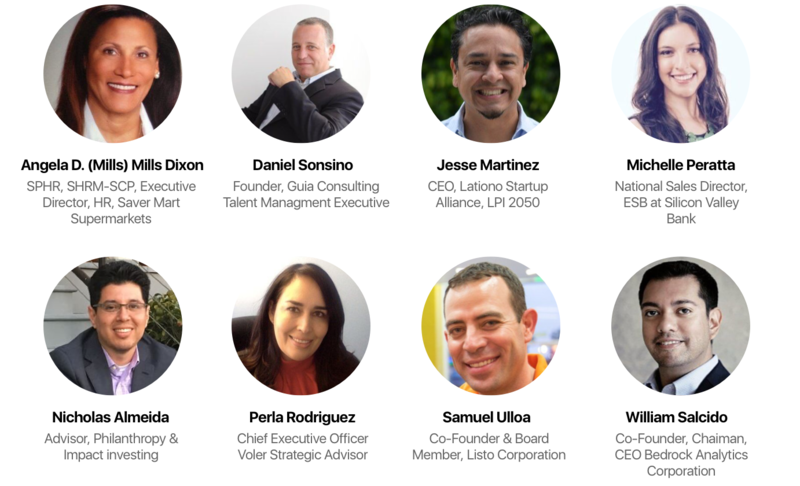 In particular, the Company is dependent on Ana M. Hernandez and Martha Hernandez who are Board Secretary July 25, 2016 to Current and Founder and CEO July 25th, 2016 to Current of the Company. The Company has or intends to enter into employment agreements with Ana M. Hernandez and Martha Hernandez although there can be no assurance that it will do so or that they will continue to be employed by the Company for a particular period of time. The loss of Ana M. Hernandez and Martha Hernandez or any member of the board of directors or executive officer could harm the Company’s business, financial condition, cash flow and results of operations. The Company is dependent on Ana M. Hernandez and Martha Hernandez in order to conduct its operations and execute its business plan, however, the Company has not purchased any insurance policies with respect to those individuals in the event of their death or disability. Therefore, in any of Ana M. Hernandez and Martha Hernandez die or become disabled, the Company will not receive any compensation to assist with such person’s absence. The loss of such person could negatively affect the Company and its operations. We are subject to income taxes as well as non-income based taxes, such as payroll, sales, use, value-added, net worth, property and goods and services taxes, in both the US [and various foreign jurisdictions]. Various federal and state labor laws govern our relationship with our employees and affect operating costs. These laws include minimum wage requirements, overtime pay, healthcare reform and the implementation of the Patient Protection and Affordable Care Act, unemployment tax rates, workers’ compensation rates, citizenship requirements, union membership and sales taxes. 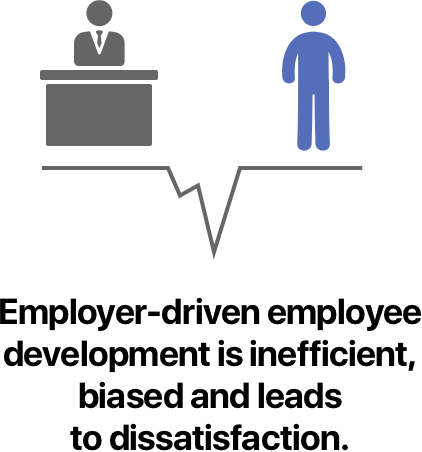 A number of factors could adversely affect our operating results, including additional government-imposed increases in minimum wages, overtime pay, paid leaves of absence and mandated health benefits, mandated training for employees, increased tax reporting and tax payment [requirements for employees who receive tips, a reduction in the number of states that allow tips to be credited toward minimum wage requirements,] changing regulations from the National Labor Relations Board and increased employee litigation including claims relating to the Fair Labor Standards Act. Our customers require our products to perform at a high level, contain valuable features and be extremely reliable. The design of our server solutions is sophisticated and complex, and the process for manufacturing, assembling and testing our server solutions is challenging. Occasionally, our design or manufacturing processes may fail to deliver products of the quality that our customers require. For example, a vendor may provide us with a defective component that failed under certain heavy use applications. As a result, our product would need to be repaired. The vendor may agree to pay for the costs of the repairs, but we may incur costs in connection with the recall and diverted resources from other projects. New flaws or limitations in our products may be detected in the future. Part of our strategy is to bring new products to market quickly, and first-generation products may have a higher likelihood of containing undetected flaws. If our customers discover defects or other performance problems with our products, our customers’ businesses, and our reputation, may be damaged. Customers may elect to delay or withhold payment for defective or underperforming products, request remedial action, terminate contracts for untimely delivery, or elect not to order additional products. If we do not properly address customer concerns about our products, our reputation and relationships with our customers may be harmed. In addition, we may be subject to product liability claims for a defective product. Any of the foregoing could have an adverse effect on our business and results of operations. Many components, including those that are available from multiple sources, are at times subject to industry-wide shortages and significant commodity pricing fluctuations. While the Company has entered into agreements for the supply of many components, there can be no assurance that we will be able to extend or renew these agreements on similar terms, or at all. A number of suppliers of components may suffer from poor financial conditions, which can lead to business failure for the supplier or consolidation within a particular industry, further limiting our ability to obtain sufficient quantities of components. The follow-on effects from global economic conditions on our suppliers, also could affect our ability to obtain components. Therefore, we remain subject to significant risks of supply shortages and price increases. Our products often utilize custom components available from only one source. Continued availability of these components at acceptable prices, or at all, may be affected for any number of reasons, including if those suppliers decide to concentrate on the production of common components instead of components customized to meet our requirements. The supply of components for a new or existing product could be delayed or constrained, or a key manufacturing vendor could delay shipments of completed products to us adversely affecting our business and results of operations. Prior to the offering the Company’s current owners of 20% or more beneficially own up to 100.0% of the Company. Subject to any fiduciary duties owed to our other owners or investors under California law, these owners may be able to exercise significant influence over matters requiring owner approval, including the election of directors or managers and approval of significant Company transactions, and will have significant control over the Company’s management and policies. Some of these persons may have interests that are different from yours. For example, these owners may support proposals and actions with which you may disagree. The concentration of ownership could delay or prevent a change in control of the Company or otherwise discourage a potential acquirer from attempting to obtain control of the Company, which in turn could reduce the price potential investors are willing to pay for the Company. In addition, these owners could use their voting influence to maintain the Company’s existing management, delay or prevent changes in control of the Company, or support or reject other management and board proposals that are subject to owner approval. The vision of madeBos is something that is high in demand all over the country. Many people are limited to their potential due to not having the correct information to excel. This should help all people looking to advance in their career fields. I believe in Martha wholeheartedly and her ability to succeed in any endeavor she sets her sights on! I invested because I have a retail background and know how hard it can be to transition careers. I believe in the product and a brighter future. I ran the Career Center at the Stanford Business School-- I think MadeBOS is onto something...and I know the founder...she has leadership in her blood! I believe employees needs to know their path better. Nowsadays, companies do not practice loyalty to train employees, but driven by market forces, which is sad. Everyone deserves to better themselves and become the boss! It is using future-proof methodology like data driven decisions, mobile app, customer centric design etc. I, like you, am the daughter of Mexican immigrants. I have a M.A. and I'm extremely grateful for my patents support and strong work ethic. I believe in you!! Si se puede!!!! It is a great concept that hopefully will help employees rise to positions of greater responsibility as they work their way up the organization. I believe it is a very useful solution that will benefit ($) both employer and employees, it takes care of a unattended matter and is very likely to be a success soon! Mucho Exito! I thought about the exact same idea. Never knew that madeBOS have the same plan and so I decide to invest in what I already believe in and am willing to invest more whenever I get the Funds. Product that seems to be solving a very real problem. Use of advisory panel gives it a good chance it will hit the mark. I invested because this literally gives people the tools and vehicle they need to get to where they're meant to go. I believe in entities that provide services to people who have potential of being a productive citizen in society and who actively seek the help to continuously better themselves. The credibility of madeBos lies w/in the heart & work of the founder. Passionate about diversity in tech. MadeBOS has the potential to transform job training and development. I believe in the passion and commitment for bulding bridges by the founders of this company! I believe in the founder and have confidence this is a great service. I initially made an investment solely because of Martha's enthusiasm and work ethic. After watching over the last few months, I am sold on madeBOS. Today I doubled my initial investment. Martha you have a winner here that is going to help many! I believe Martha Hernandez has the "skills, knowledge, experience and network" to make madeBOS work.